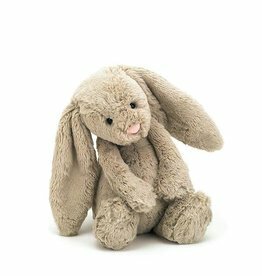 Jellycat Bashful Blue Bunny is ready to hop into your heart! Long, floppy ears and a bushy little tail make him the softest bunny in the briar patch! If you give him all of your love, he just might become 'real'. 12 inches. 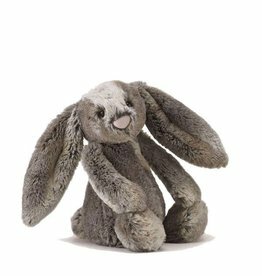 Jellycat Bashful Woodland Bunny has long, floppy ears and a bushy little tail. He's the softest bunny in the briar patch! 12 inches. Jellycat Bashful Aqua Bunny is ready to hop into your heart! Long, floppy ears and a bushy little tail. 12 inches. 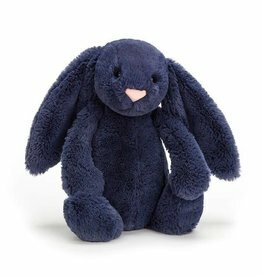 Jellycat Bashful Navy Bunny is ready to hop into your heart! Long, floppy ears and a bushy little tail. 12 inches. 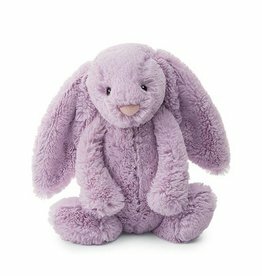 Jellycat Bashful Lilac Bunny is ready to hop into your heart! Long, floppy ears and a bushy little tail make her the softest bunny in the briar patch! 12 inches. 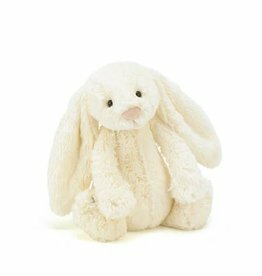 Jellycat Bashful Cream Bunny is ready to hop into your heart! Long, floppy ears and a bushy little tail make him the softest bunny in the briar patch! 12 inches. 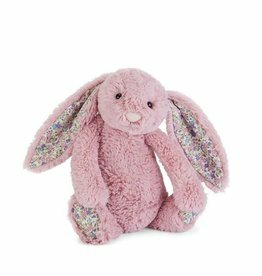 Perfectly pink, fuzzy and soft, Jellycat Bashful Light Pink Bunny is sure to delight! 14 inches.